The conference gathered experienced experts from the relevant foreign management bodies and international organisations, who shared international practices, standards and good lessons in infrastructure development and reform, especially in governance and capital mobilisation. It also offered a good opportunity for domestic experts to assess the status and trends of infrastructure development and to access innovative management and infrastructure development in accordance with international practices, in order to improve the efficiency of governance, investment and infrastructure development to meet development needs. Speaking at the event, Deputy Minister of Planning and Investment, Vu Dai Thang, emphasised that Vietnam's socio-economic development strategy for the 2011-2020 period has determined the construction of a synchronous infrastructure system, with a number of modern projects, focusing on the transportation system and large urban infrastructure, as one of among Vietnam’s strategic breakthroughs. In order to achieve the goals of synchronous infrastructure development in the future, including major transportation projects, such as the North - South expressway to the east, Long Thanh international airport and North-South high-speed railway, it is important to complete electricity construction and large urban infrastructure, while proposing comprehensive solutions, including proposals on mechanisms and policies for the management and mobilisation of investment capital. Deputy Minister Thang said that international financial institutions, organisations and research institutes, as well as international consultants and experts, are continuing to support the Government of Vietnam in research and evaluation, in addition to the completion of legal regulations on public investment and in PPP investment form. This valuable support has contributed to improving the mechanism for governance and the efficiency of public investment, especially studies and innovation on renewed capital mobilisation for infrastructure with recommendations on risk allocation for stakeholders. 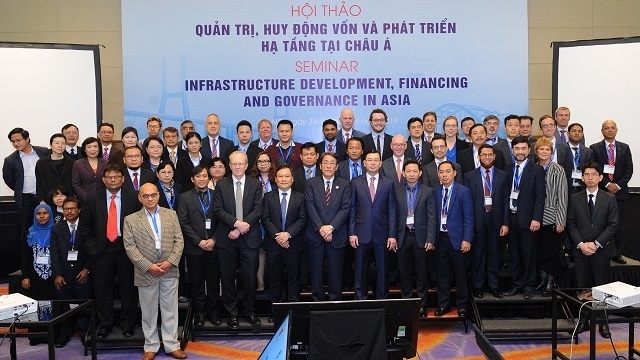 In addition, the discussion outcomes of the international experts will be valuable lessons for Vietnam in the process of investing in infrastructure development in the future, Thang added. The annual VEF offers a forum for intellectual convergence, exchange, sharing, learning and connection of domestic organisations and external enterprises on economic issues. Through two of its organisation in 2017 and 2018, VEF has identified the most important and urgent objectives that need to focus on exploiting in existing economic problems. Consolidating the foundation of sustainable growth is the main content to be discussed at the VEF 2019, which was organised by the Government of Vietnam in coordination with the Party Central Committee's Economic Commission in Hanoi on January 16 and 17. As one of the main organisational coordinators, the Australian Programme to support Vietnam's economic reform (Aus4Reform) will continue to accompany the third VEF. VEF 2019 is expected to attract over 2,000 internal and domestic delegates, especially with the attendance of Prime Minister Nguyen Xuan Phuc and Head of the Party Central Committee's Economic Commission Nguyen Van Binh. 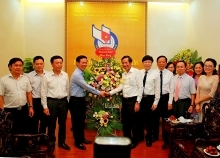 According to Ngo Van Tuan, Deputy Head of the Party Central Committee's Economic Commission, the VEF 2019 is expected to provide assessments on Vietnam’s current economical situation and prospects in the medium term, especially the opportunities, difficulties and challenges, alongside recommendations and policy proposals with scientific and practical values to serve as a basis for the Party, the National Assembly and the Government of Vietnam to consider in the process of perfecting institutions and leading and managing the economy in a rapid, sustainable, creative and inclusive manner.